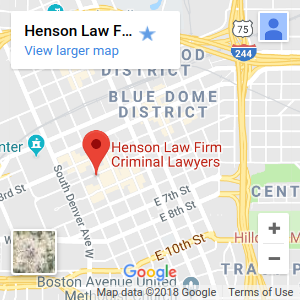 If you or a loved one is under investigation or has been charged with a theft crime, an experienced Tulsa theft crimes attorney at the Henson Law Firm, PLLC can fight for your rights and defend you or your loved one against the charges. Whether the charges are misdemeanors or felonies, Oklahoma theft crimes are serious offenses that are vigorously prosecuted to the fullest extent of Oklahoma criminal law, and the penalties imposed are harsh. It is important to mount an aggressive defense to the charges, as your rights and your freedom are at stake. A theft crime conviction could lead to years in prison, high fines, court costs, community service, supervised probation, and restitution to the alleged victim. Further, the mere allegation of a theft crime, to say nothing of a conviction on your record, is extremely damaging to your reputation and can make it difficult to find or retain a job. 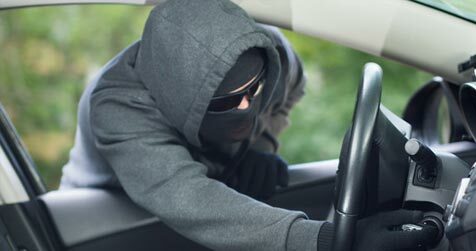 It is important that you retain a Tulsa Oklahoma theft crimes lawyer who will provide you with aggressive criminal representation in order to immensely increase the chances of successfully resolving your case. There are few things more frightening than dealing with the legal system. When facing theft crime charges, your career, your future, and your freedom are all on the line. The best way to protect yourself or your loved one is to hire an experienced Tulsa theft crimes defense lawyer like Rob V. Henson to aggressively fight for your rights from your first appearance in court through a jury trial. Mr. Henson will investigate your case, stand up to the prosecution, and defend you against the allegations. Helping you avoid the consequences of a theft crime conviction is Mr. Henson’s top priority! Contact experienced Tulsa theft crimes attorney Rob V. Henson for aggressive representation!